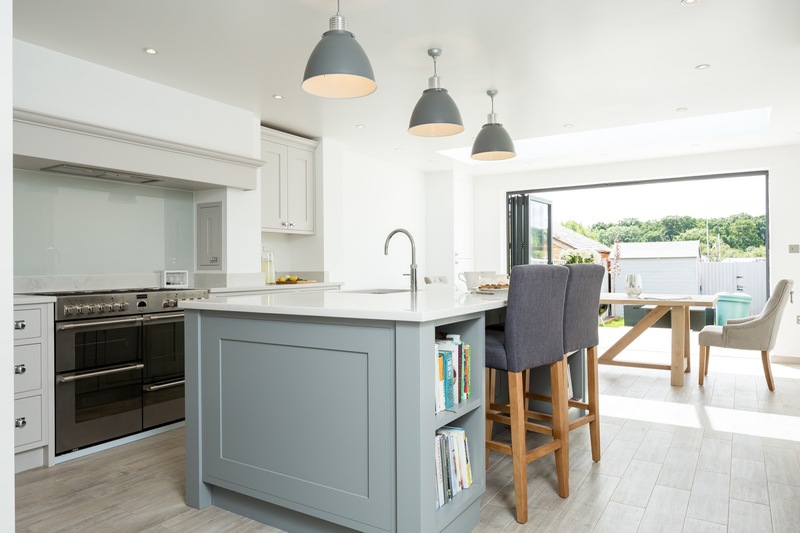 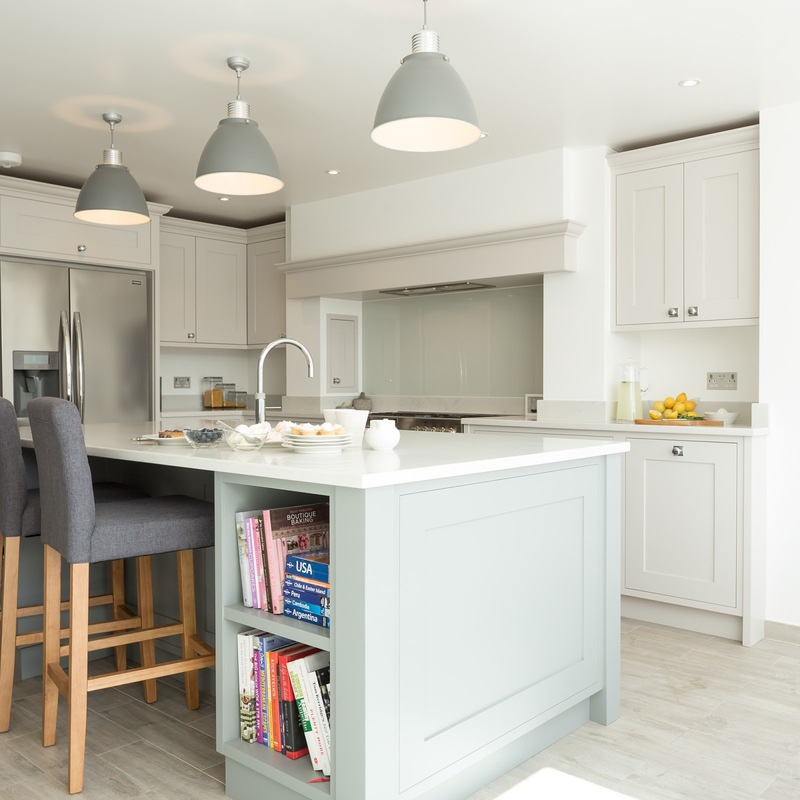 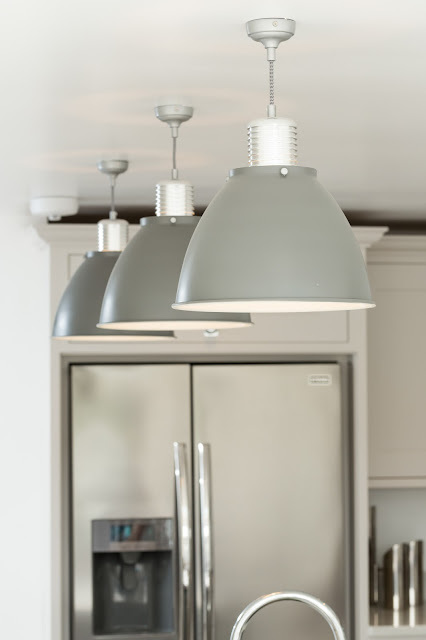 Grey colour schemes are really popular at the moment and we were delighted to make another stunning kitchen combining two different shades of grey. 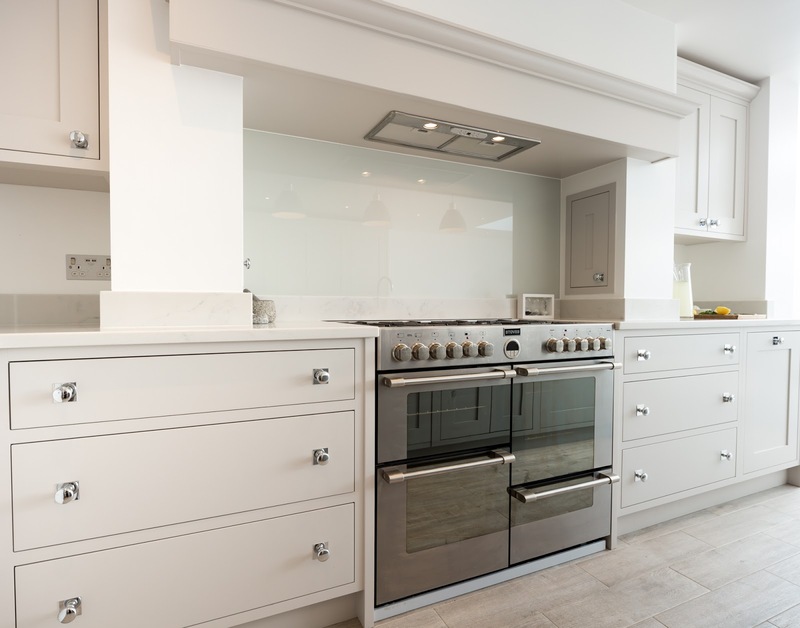 This Victorian terrace house has been extended to create a large kitchen diner at the back of the property. 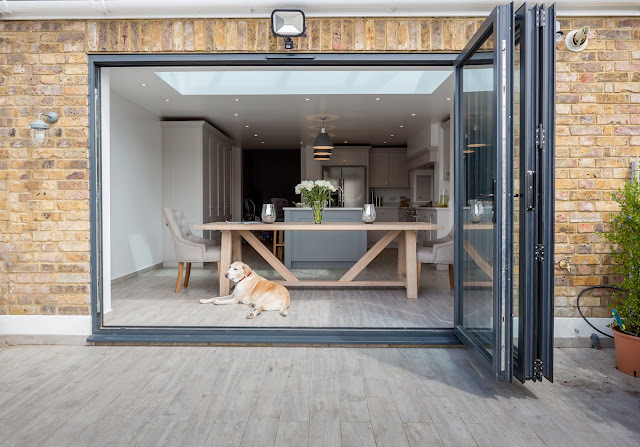 It's a really open space with light flooding in through the bi-folding doors and roof lantern. The kitchen is a contemporary in frame shaker design, with minimal detail and clean lines. 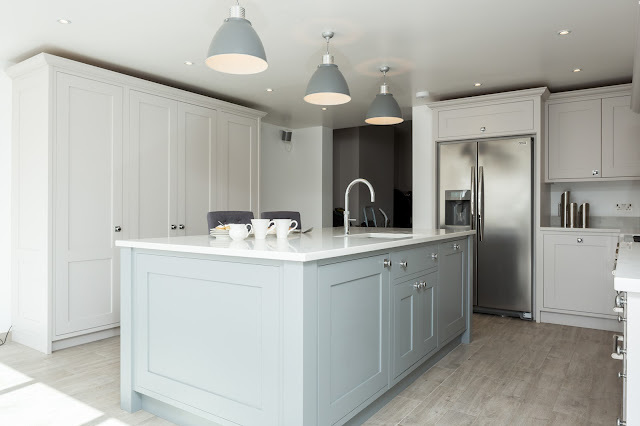 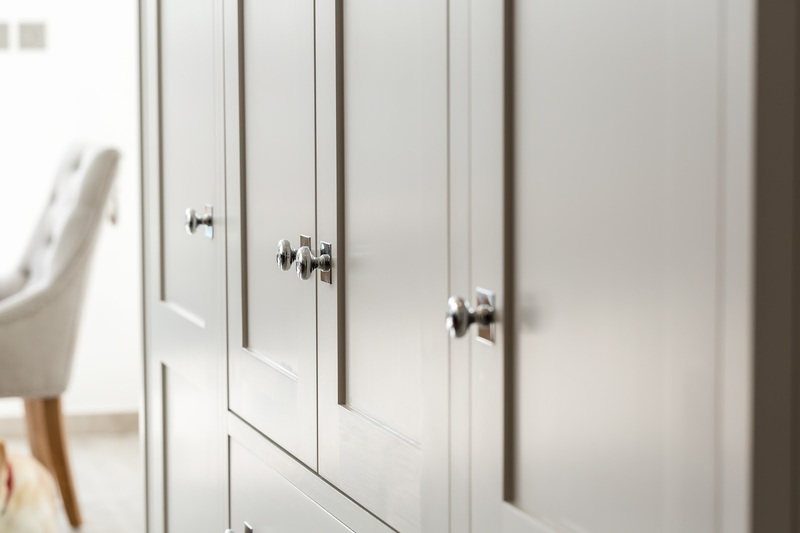 The island is painted in Farrow & Ball Plummet and the outer cabinetry in Farrow & Ball Cornforth White. 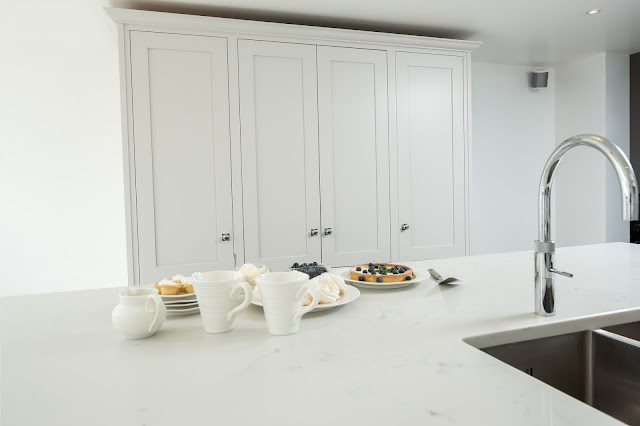 The worktop is a subtle marble effect Quartz - San Vincent by Classic Quartz. 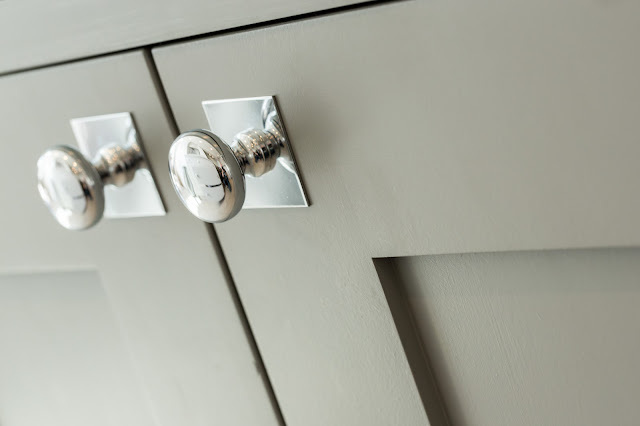 The polished chrome handles are really striking and really stand out in the space. 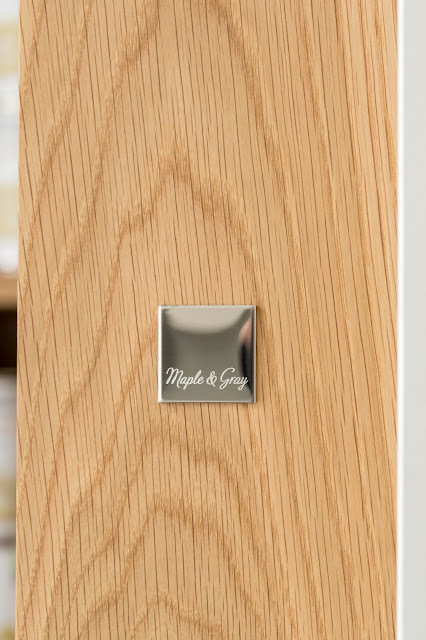 There are some lovely design features in the kitchen with cabinetry within the mantel structure beautifully made solid oak dove tailed drawers and integrated storage solutions. 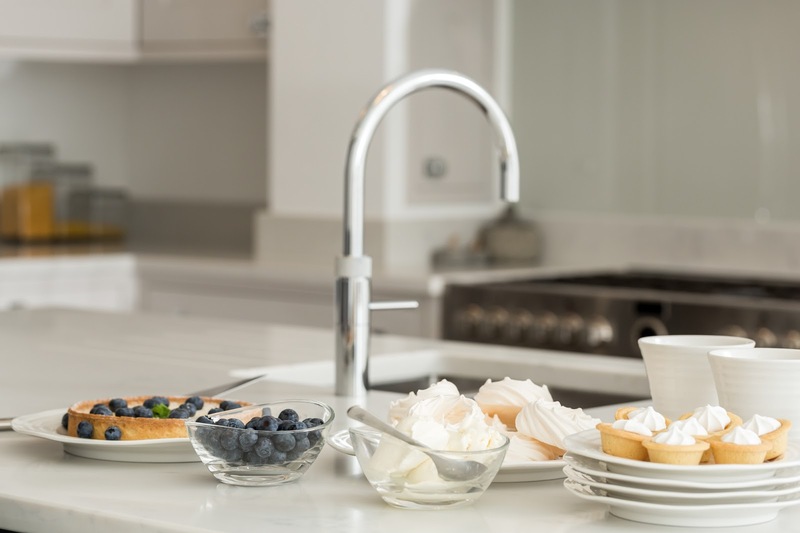 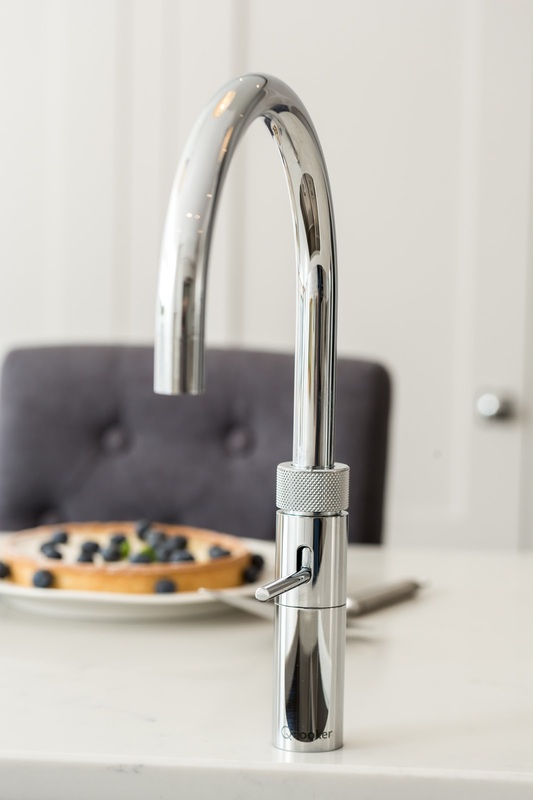 The Quooker tap is very popular at the moment - this model provides boiling hot water as well as regular hot and cold. 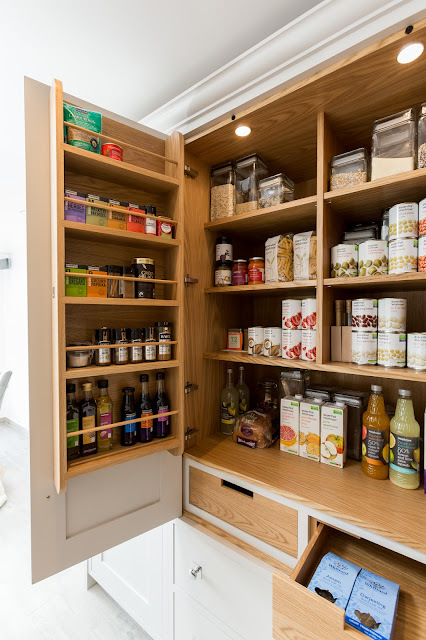 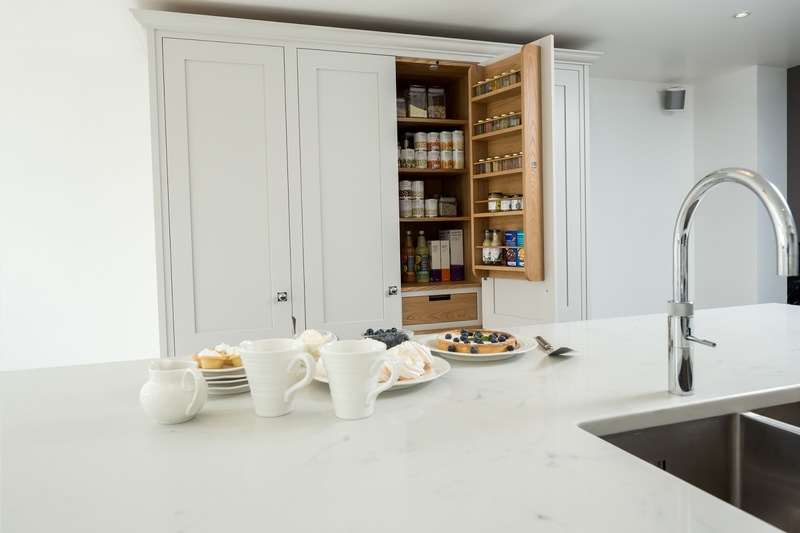 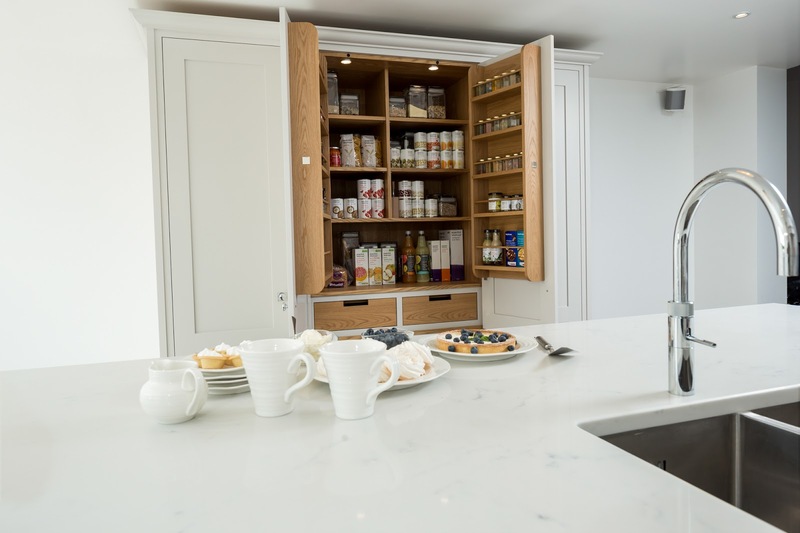 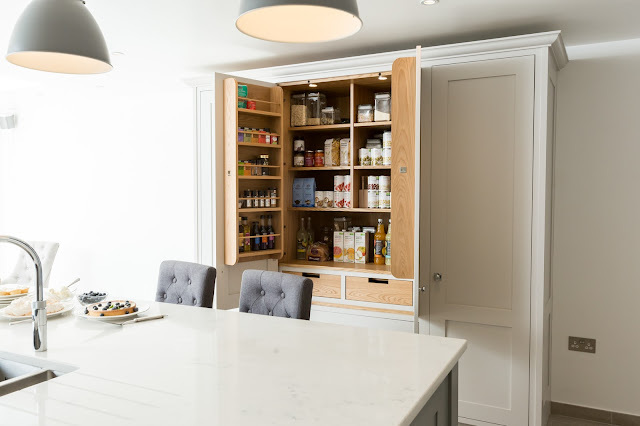 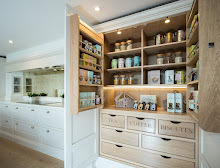 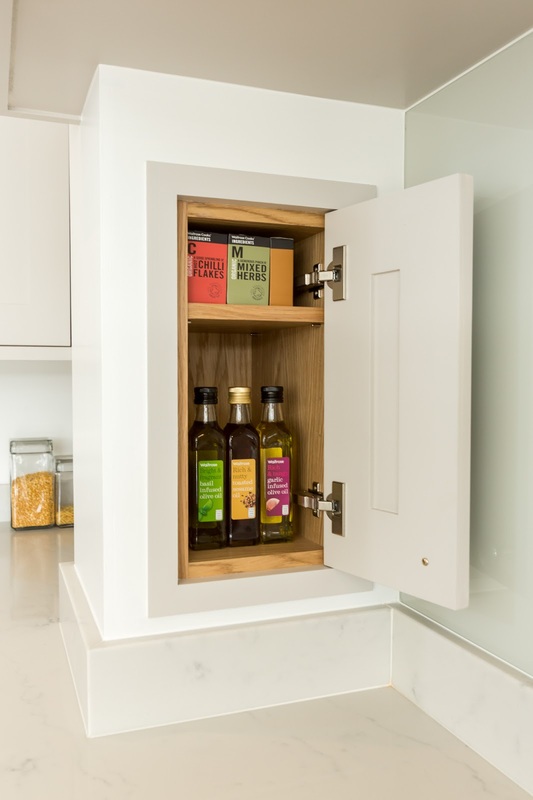 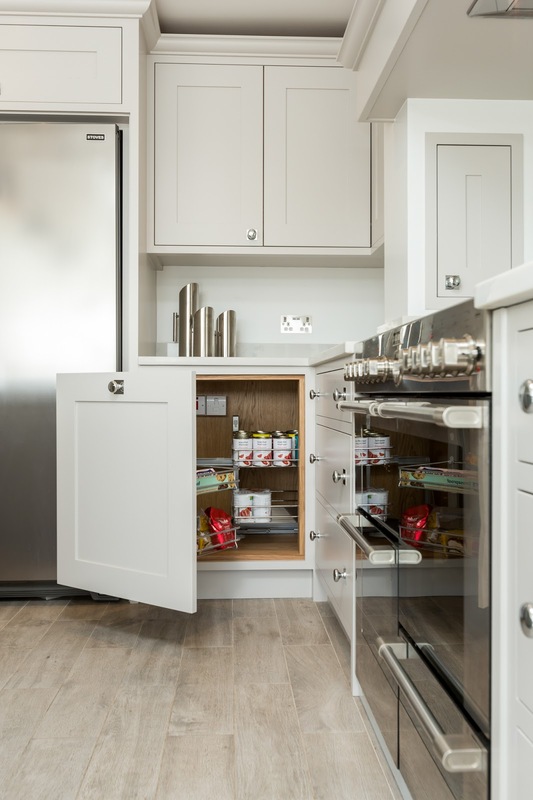 The larder is a beautiful feature in the room with solid oak spice racks, internal lighting and bespoke storage. 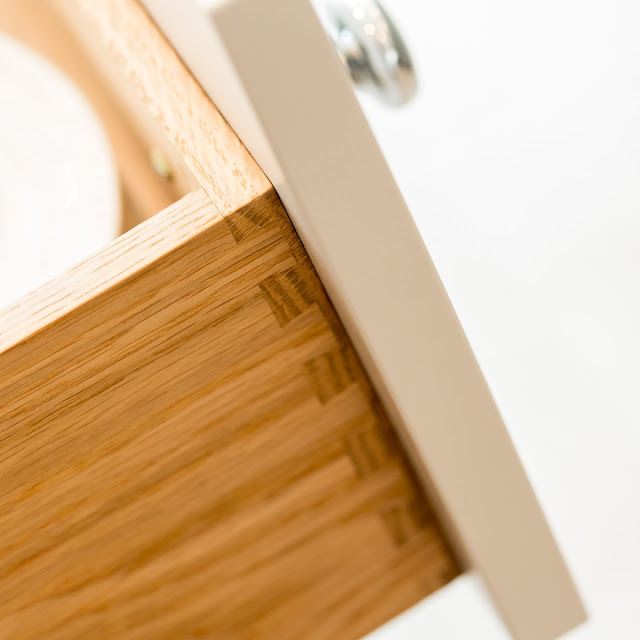 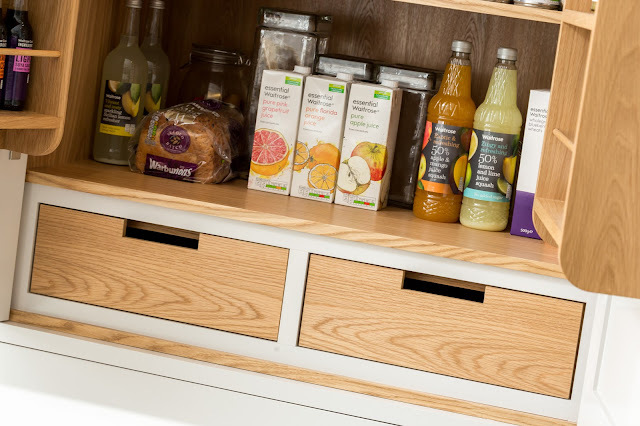 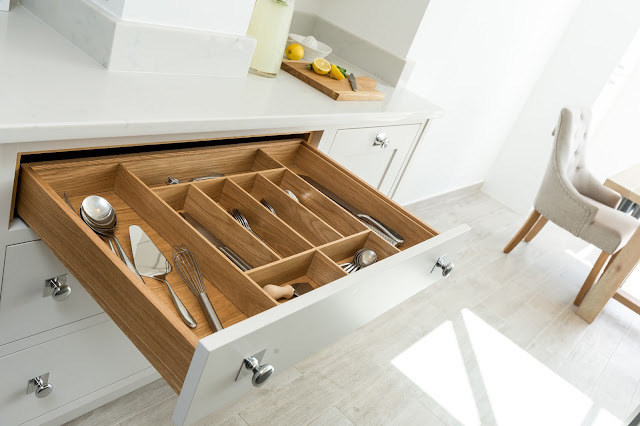 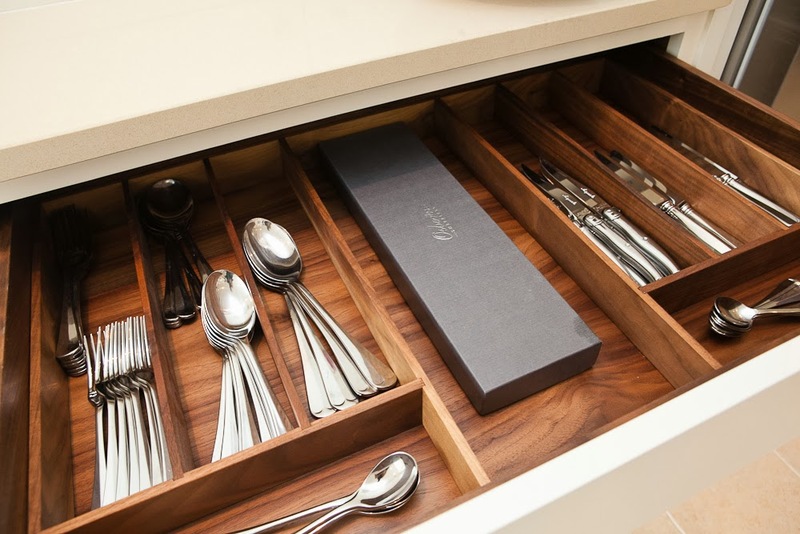 The drawers have bespoke solid oak cutlery trays which looks great and also help to keep things ordered and tidy.